Flood. Breach. Barricade. Boil water advisory. After about two days, I couldn’t take hearing these words and others associated with them any longer. Following the historic rainfall earlier in October, this was common language in the Palmetto State. 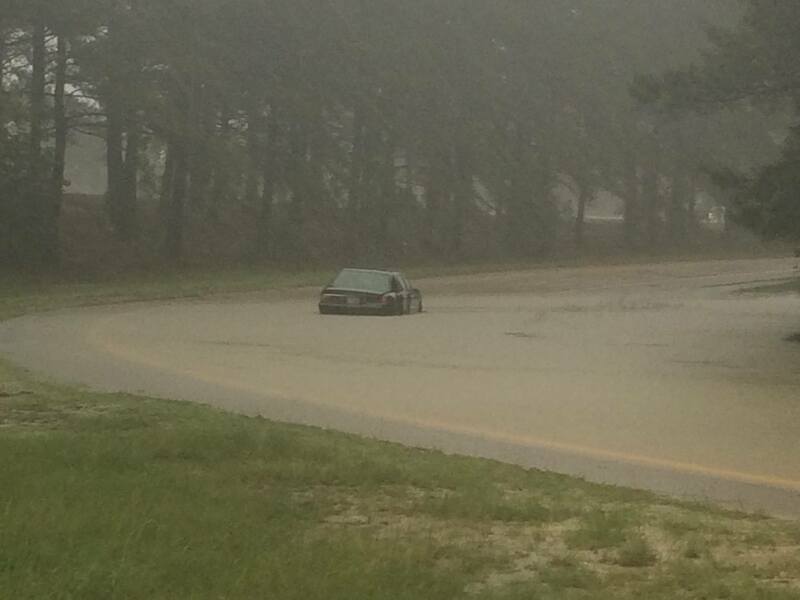 All eyes were on us as news of South Carolina’s devastating floods spread nationwide. I would have never imagined seeing houses and businesses, in some cases, with water nearly to their rooftops. And I certainly didn’t think it would happen just a few hundred yards from me. But it did. Right here in Columbia, S.C.
After finally falling asleep that Sunday morning, I awoke to get ready for early morning service as I normally do. I knew we were expecting a few inches of rain, so I turned on the TV to get a weather update. As I watched, I was silently contemplating whether I’d be going anywhere and finally I asked my husband if he thought we should go to church. He said yes, so I said well, we’ll ride together today. (It usually takes one of us longer to get dressed than the other (Ahem! ), so we drive separately sometimes. Okay, I’ll admit, I’m the slow one.) Then something the news anchor said caught my attention: The first floor of an apartment complex flooded. The name rang a bell because the apartments are in walking distance from our neighborhood. I repeated what I heard to my husband because he was still trying to take advantage of the extra 15 minutes of sleep before he really needed to get going. At that point it was obvious that we weren’t leaving home because even if we had, chances are, we wouldn’t have made it back. Now we were wide awake, gazing at the TV, shocked at what we were hearing and seeing. As time passed, we saw: families being rescued from their homes by boat, cars floating in water, a Title Max business about to cave in from being inundated with water, and a portion of Decker Boulevard and Garners Ferry Road flooded. Social media was abuzz with more images, videos and the #scflood hashtag. I started receiving text messages: worship services are canceled, neighbor’s house flooded, turn to the news, checking on you, and let’s pray together. The texts, phone calls, and inbox messages continued throughout the day and into the next. For days, there was round-the-clock flood news coverage and I eventually had to turn the TV off. It was becoming stressful, plus I had cabin fever. I think on Wednesday we ran a couple of errands and on our way back home, we forgot about a road closure that was part of our usual route home. We detoured through a neighborhood, honestly just following the cars ahead of us. What I saw next took me over the edge. It was more compelling than any news story I’d seen – and I saw some great stories and professional news coverage. We drove through a neighborhood that was affected by the flood. After passing about three houses on one particular street, I lost it. My emotions overtook me after seeing pile after pile of people’s belongings on the curb. A yellow sofa where a family probably sat and watched TV together. A washer and dryer that a mom or dad once used to do laundry. A water-stained brown leather recliner where someone, perhaps, watched Sunday night football or read a good book. A coffee table where family photos were probably displayed. 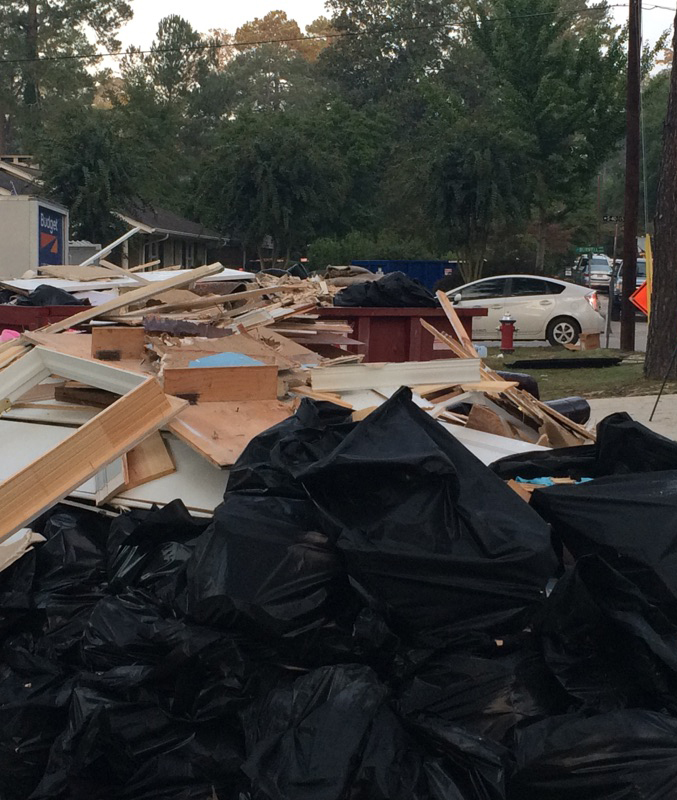 And volunteers, homeowners and contractors were still clearing out flood-damaged homes. My heart ached for those families and countless other flood victims. I can’t imagine the stress that victims are experiencing but I do know that God will comfort them during and after the flood. Isaiah 41:10 says, “Fear not, for I am with you; be not dismayed, for I am your God; I will strengthen you, I will help you, I will uphold you with my righteous right hand.” Whether going through a natural or spiritual disaster, never allow it to wash out your faith. The same God who provided for you before will provide for you again. When a dam breaks in your life and you’re flooded with troubles, like David, find strength in the Lord (1 Samuel 30:6). The loss, disappointment, and heartache can become overwhelming, but here is hope, and that hope is in Jesus Christ. Yes, we are South Carolina strong, and storms like this should lead us to be God strong – strong in our faith. This entry was posted in Chaunte McClure, Columbia, Famously Hot, Midlands and tagged Chaunte McClure, every woman blog, Famously Hot, lexington medical center., Midlands, SC Flood, South Carolina by lexingtonmedicalcenter. Bookmark the permalink.